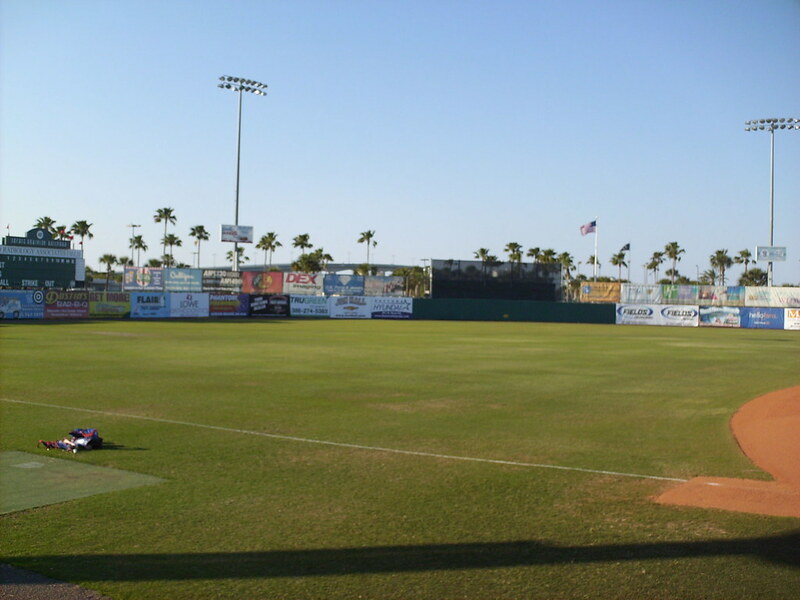 The view from behind home plate at Jackie Robinson Ballpark. 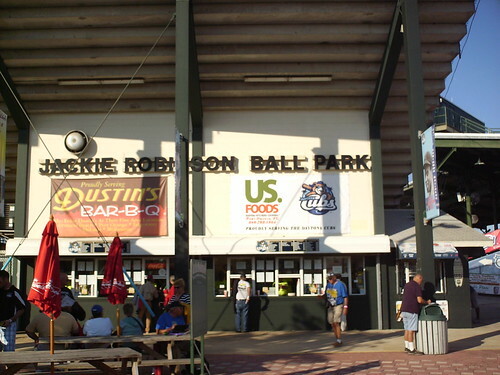 The asymmetrical covered wooden grandstand at Jackie Robinson Ballpark, as seen from the left field corner. The main grandstand. 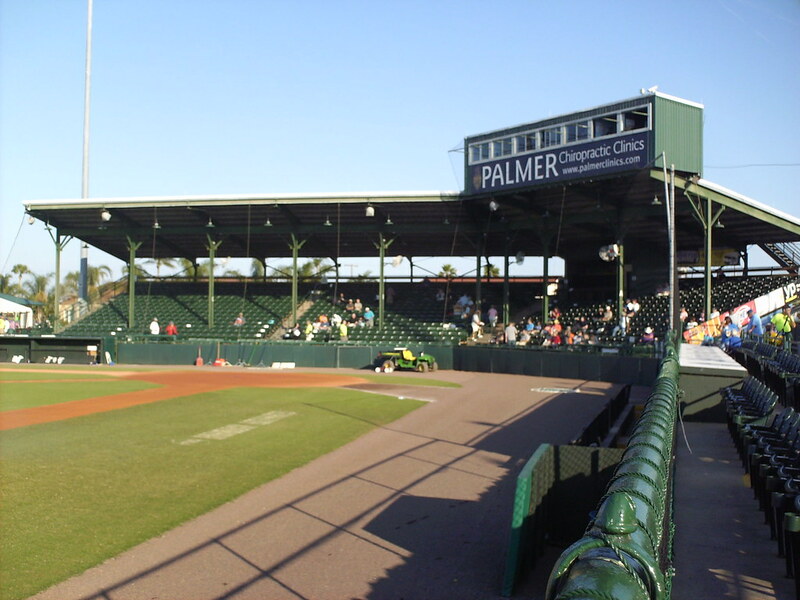 The roof features electric fans and lights for the spectators in the stands below. 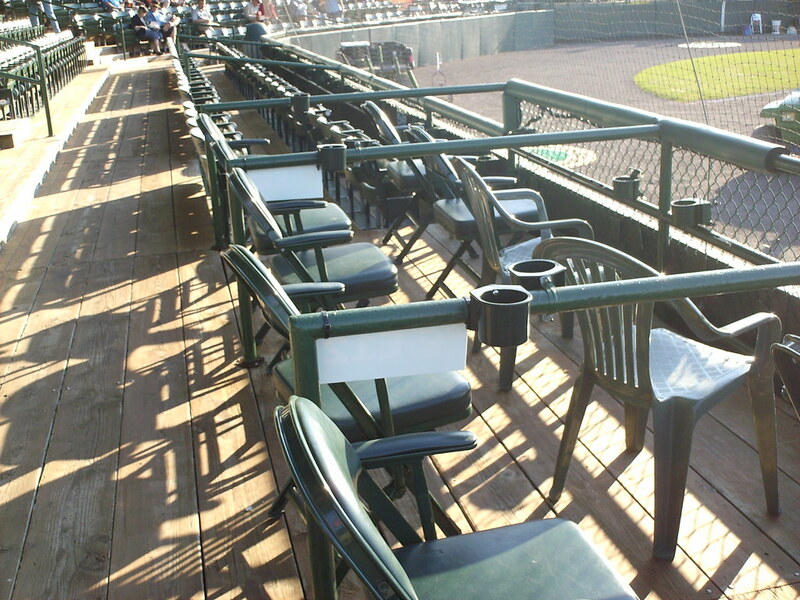 Box seats at the front of the grandstand feature movable chairs and wait service during the game. 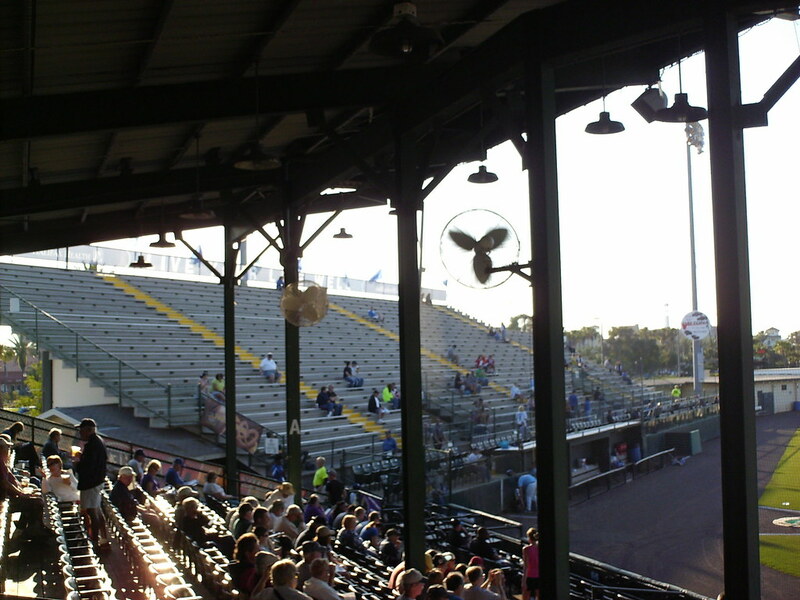 A single "luxury box" at the top of the grandstand features an outfield wall decor and houses groups and birthday parties. 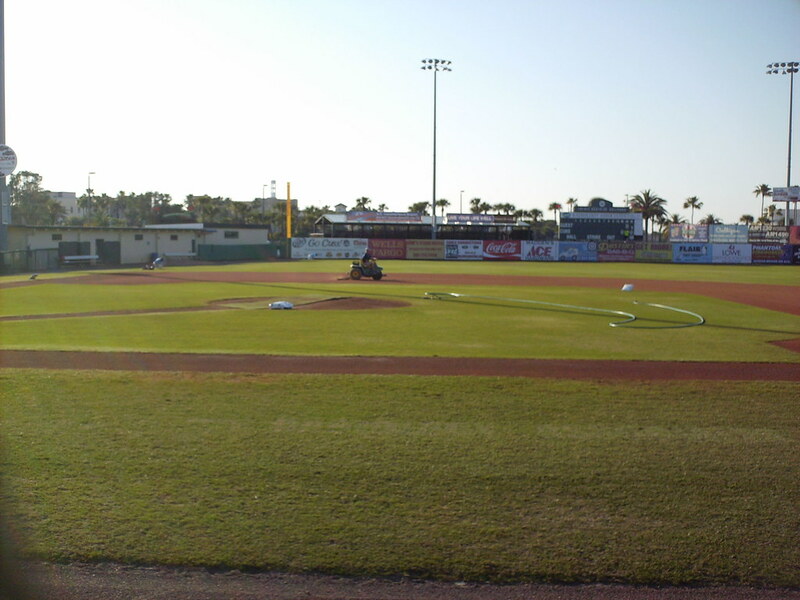 A pair of covered party decks sit in the right field corner of the field. 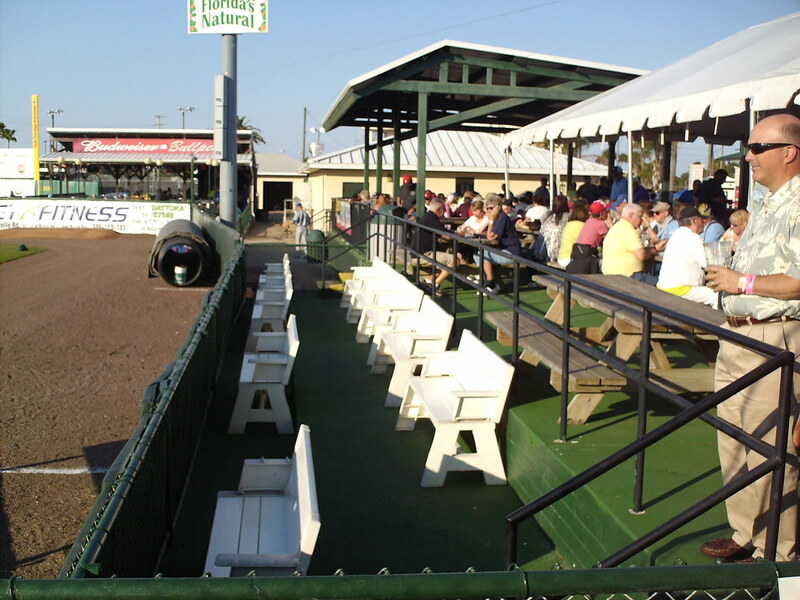 Wooden bench seating in front of the party deck down the first base line. 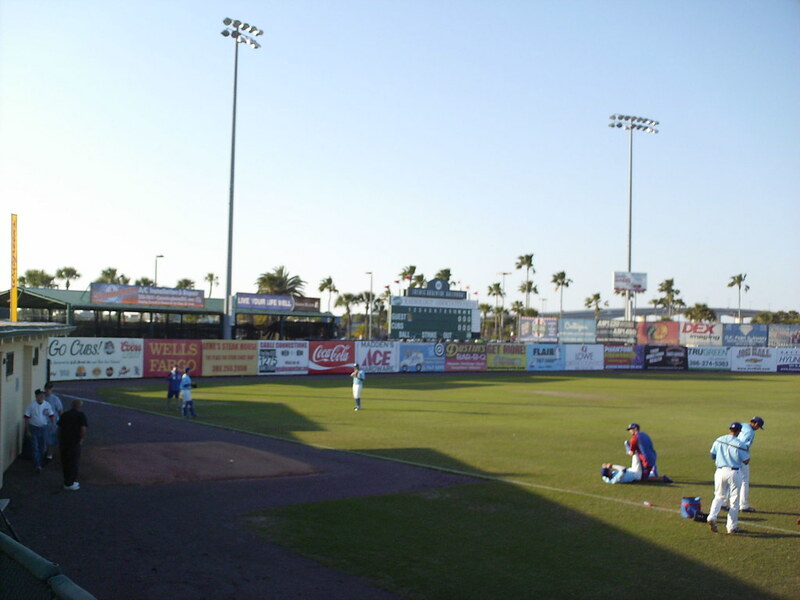 A huge concrete grandstand sits down the third base line, added in increase the park's capacity when Spring Training returned to Daytona Beach in 1973. 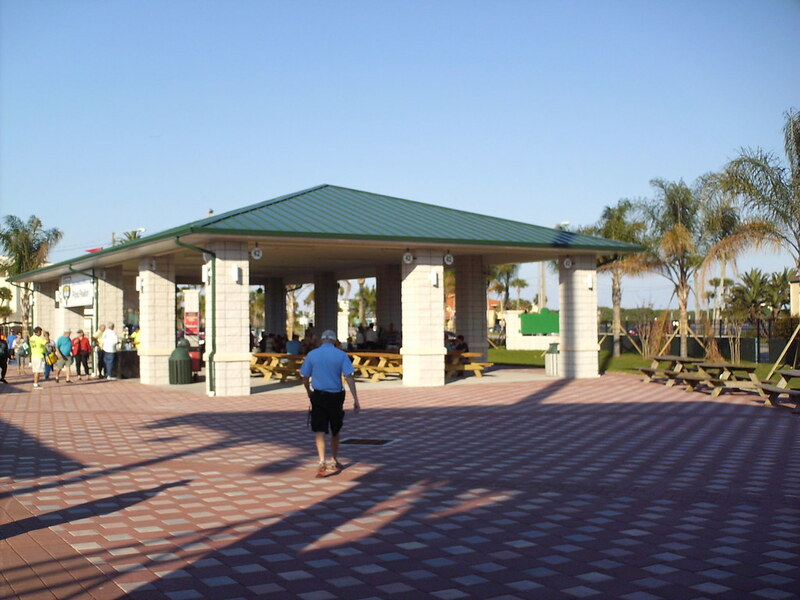 Another covered picnic area sits behind the grandstand on the outer concourse. 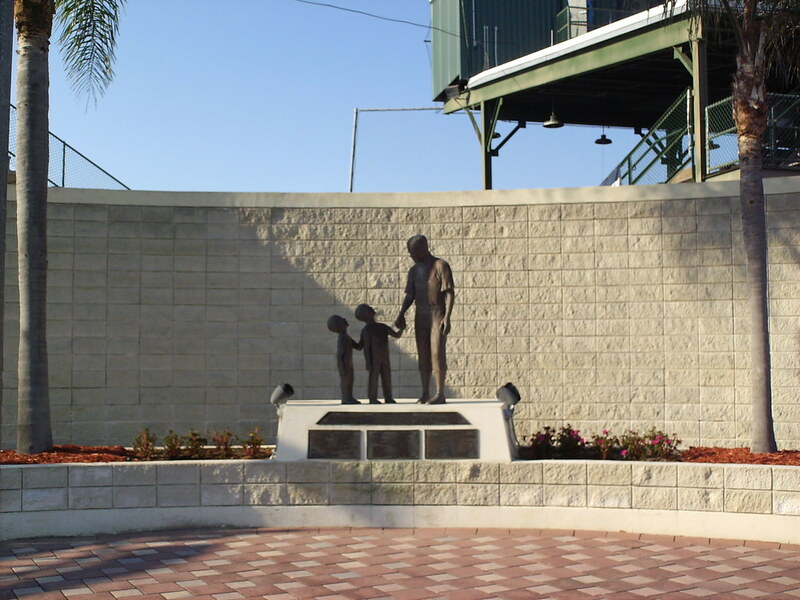 A statue of Jackie Robinson sits outside the gates of Jackie Robinson Ballpark. 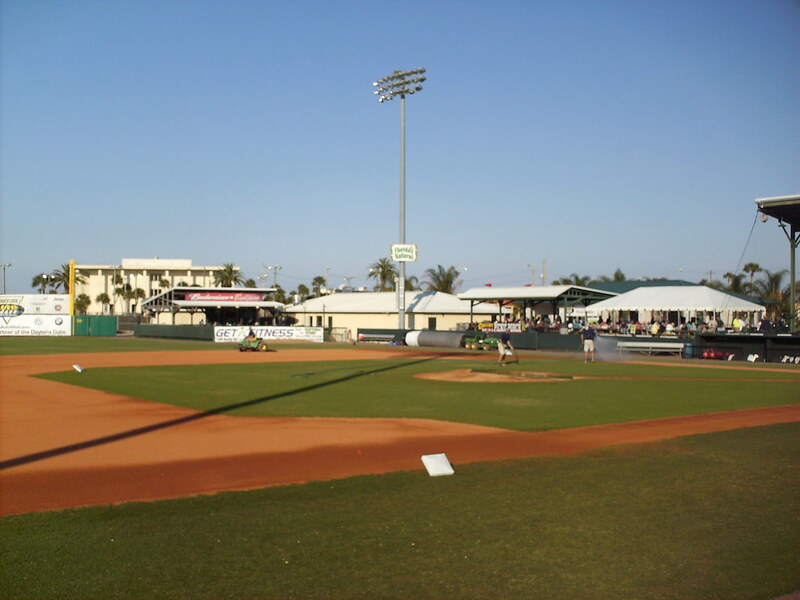 The park, named City Island Park at the time, was the first park in Florida to allow Robinson to play a Spring Training game with the Montreal Royals. 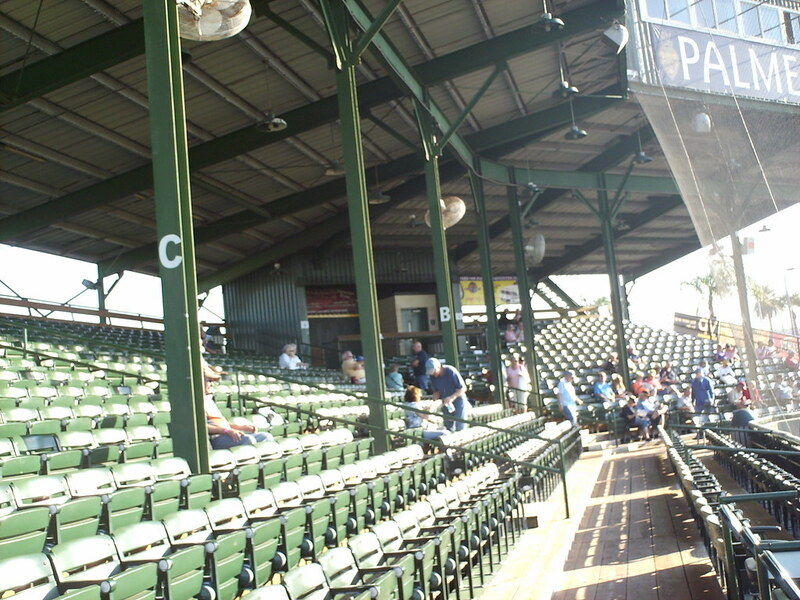 The outer concourse behind the bleachers. Banners on the support posts celebrate former players who played at the Jack. 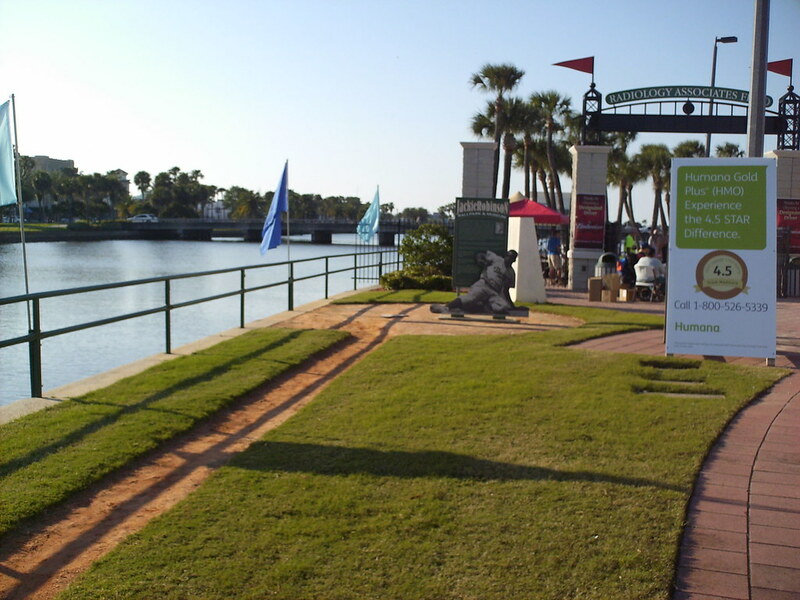 The ballpark sits on Daytona Beach's City Island, and a riverwalk around the ballpark celebrates the life and career of Jackie Robinson. 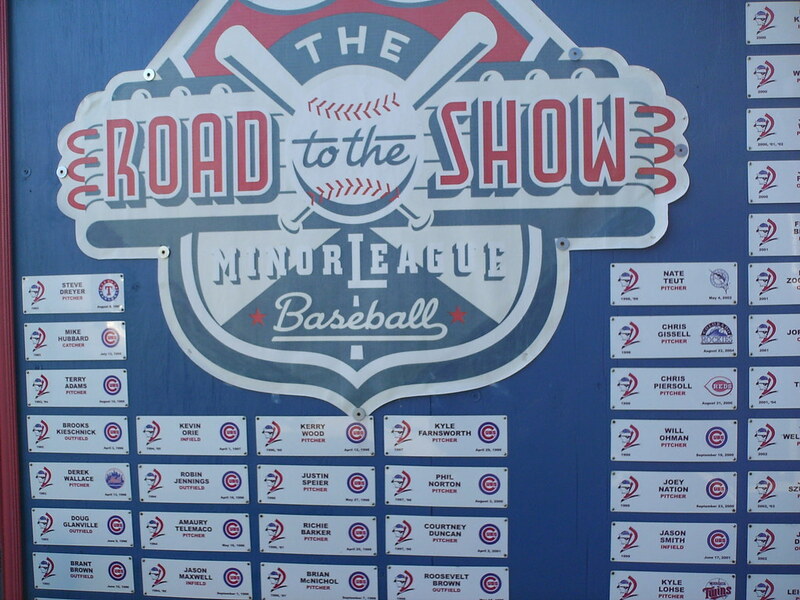 One exhibit allows fans to attempt to "steal home" on a 90ft basepath. 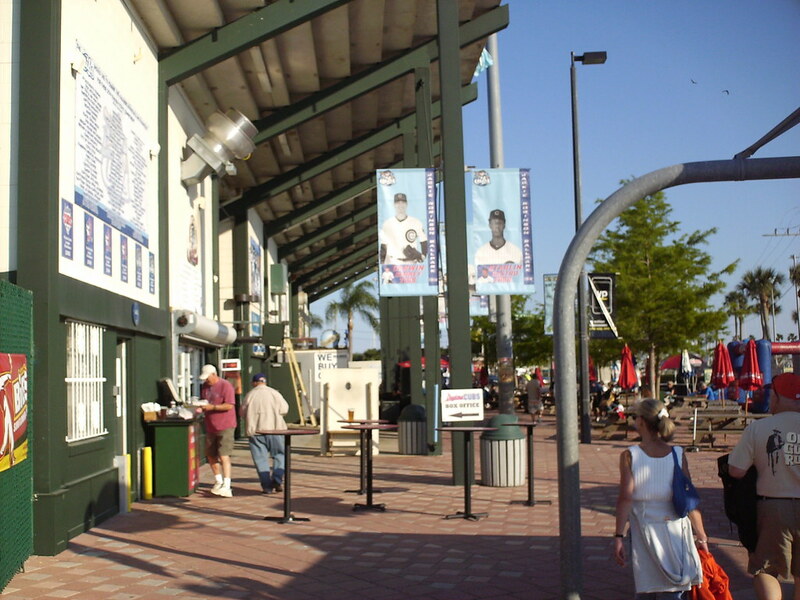 A plaque on the concourse lists former Daytona players to make the major leagues. 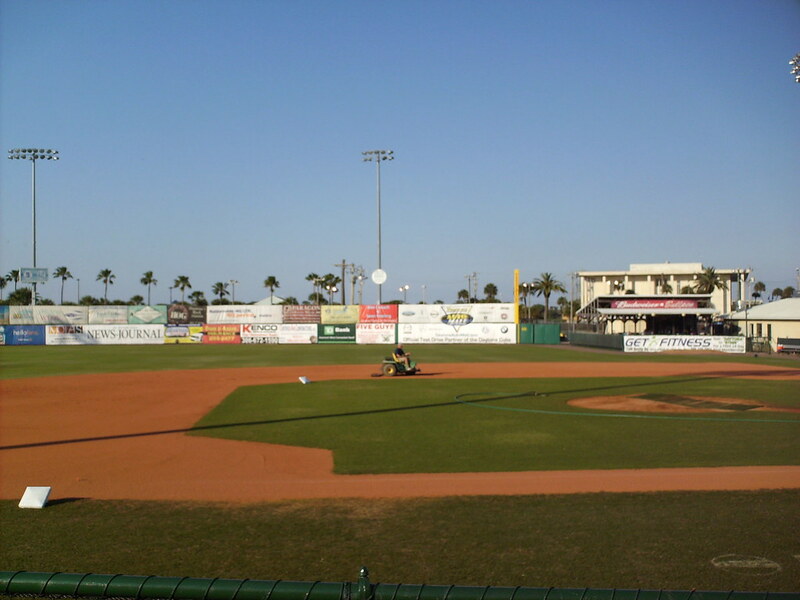 The outfield at Jackie Robinson Ballpark. 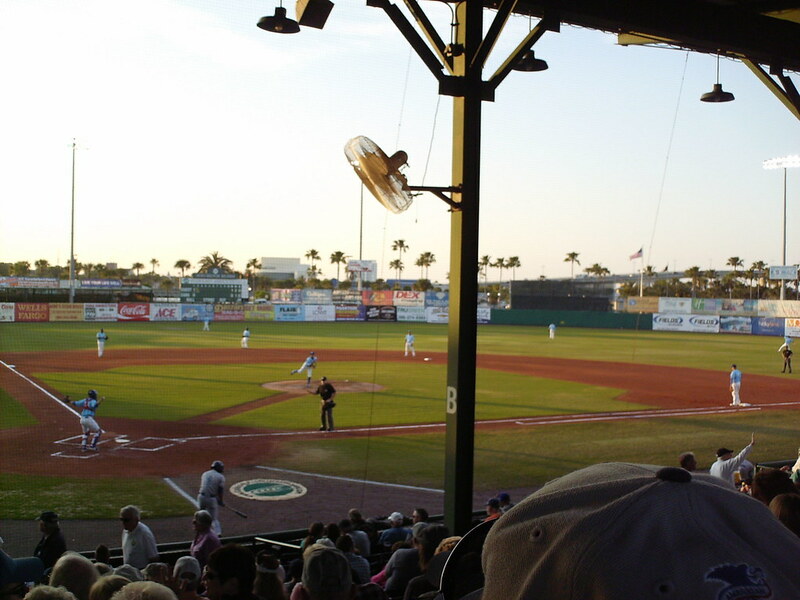 Palm trees and a bridge provide the backdrop for a Daytona Tortugas game. 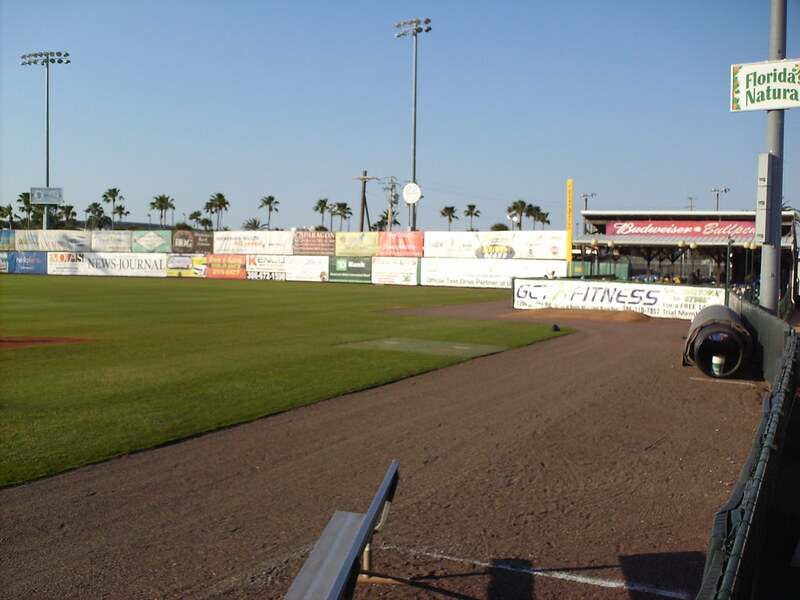 The visitors bullpen in the right field corner and retired numbers on the light standards. Two numbers are retired for Jackie Robinson. His familiar number 42, and the number 9 he wore his first Spring Training with the Royals, when he integrated City Island Park. 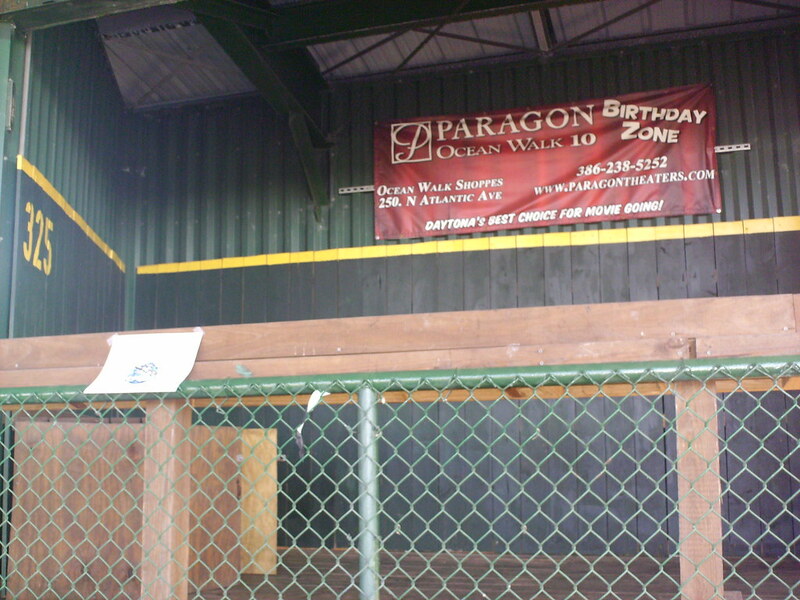 The batting cages and manual scoreboard behind the left field wall. 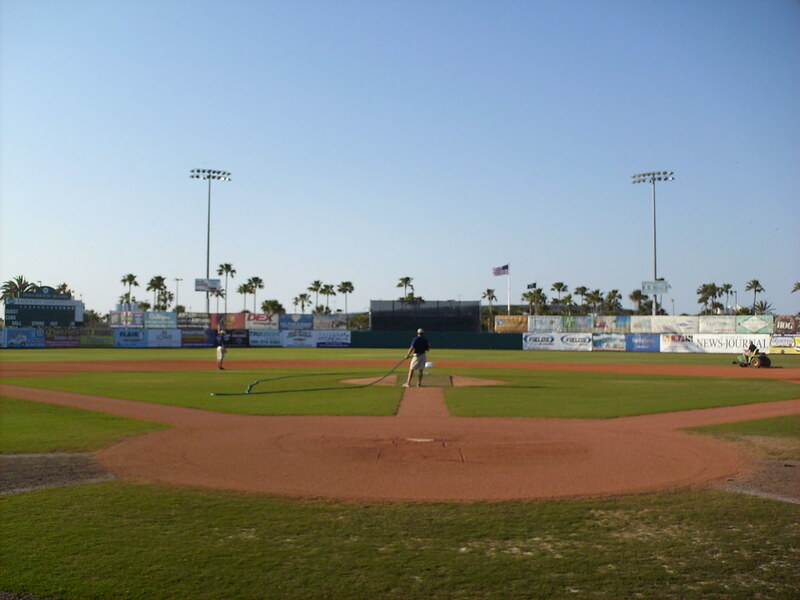 The Daytona Cubs on the field during a game at Jackie Robinson Ballpark.